Perfect idea if you have leftover risotto, but this comes out so delicious that you do not have to make it with leftovers! 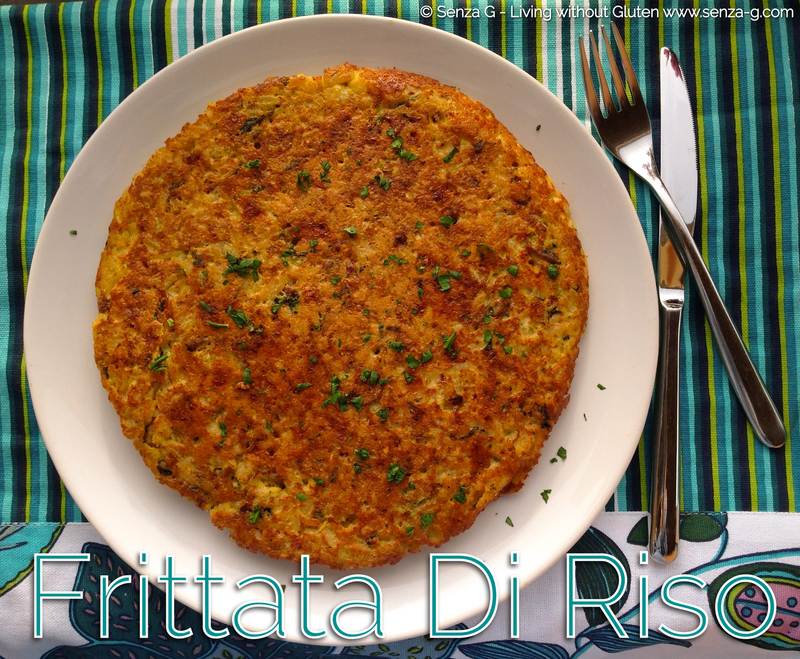 Just make a fresh risotto and turn that into a frittata! Makes a nice change too! The one above is the risotto in this recipe www.senza-g.com/risotto-stuffed-ham-rolls. Add the eggs and cheese to the risotto, combining well. Mix should not be too liquid nor too thick. Heat a little oil in a non stick pan and pour in the risotto and egg mix. Fry for a few minutes and then flip it over to cook the other side. A good trick is to put a plate over the frittata, hold the plate with your hand and turn over the pan. Lift the pan and slide the frittata back in so you cook the other side. Serve with some salad if wished.